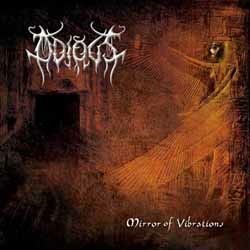 Odious’ music is fully penetrated by ancient Egyptian traditions and atmosphere. Folk oriental instruments and tunes transfer you to this glorious land. Images of eastern culture and occultism are projected through their music under a black metal filter. Pyramids, sphinxes, pharaohs and mummies are awakening in your mind for 51 minutes. Black metal guitars and vocals are combined with Egyptian acoustic instruments in a very original and professional way. Their sound in the blacker parts could be better, but we shouldn’t forget that it’s only their debut and that they come from a country without experience in metal. The compositions are totally built on the oriental scales that they seem to master. Their specialty is the acoustic folk instruments that they manage to merge perfectly with the accompanying (most of the time) guitars. Their black metal is definitely based on keyboards and melodies and much less in strength and aggression. All of the songs are full of interesting ideas with many changes in tempo, power and atmosphere, while the totally acoustic oriental parts are simply enchanting! Someone could compare them to Melechesh, since it’s the closest sound to them, but they also have many differences. They are much more melodic, with a lighter sound and with eastern folk tunes totally dominating their music. It’s really a very good effort with an amazing, melodic and original result that definitely deserves the attention of folk black metal fans. It is released by the Greek label Sleaszy Rider and it’s not a hard to find cd. Now the band prepares their second album, which is to be released by the same label. Find below the links to their official Facebook and myspace pages.